There are two retailers Minnesotans tend to be quite proud of. The first is Target. The second, is Best Buy. A worldwide company with more than $50 billion in revenue, Best Buy has come a long way from its humble beginnings in west St. Paul. 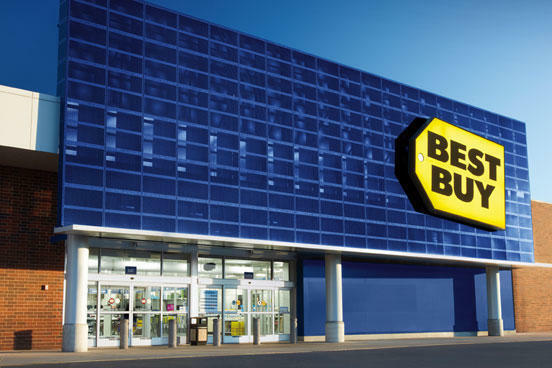 Southbridge Crossing is proud to host our very own Best Buy store which generates considerable business for the area. Because of our appreciation, we thought we would give a little history of the “big blue box” as some tend to call it. The year was 1966. Richard M. Shulze joined business partner Gary Smoliak to open a store called Sound of Music. True to the name, it specialized in audio equipment. It wouldn’t be till 1979 that it added video and laserdisc equipment. Video and visual media would become a big component of Best Buy in the future. By the time the 80’s rolled around, things really began to change. In 83, Sound of Music became known as Best Buy Co., Inc. and increased its stock of consumer electronics as well as home appliances. Soon after it opened its first true “superstore” with more floor space, a wider selection of items, and more savings. It wouldn’t be long before virtually every Best Buy would follow this format. Best Buy went public on the New York Stock Exchange in 1985. In 1987, it debuted the now famous “yellow tag” company logo. The 90’s and early 2000’s would bring explosive growth for the electronics retailer as home theatres and home computers became standard more many homes. And while many competitors faltered, Best Buy pushed on. Around 2006-2007, many electronics retailers began to experience drastic decreases in business as online retailers grew in popularity and stores like Wal-Mart started carrying a similar selection of electronics for cheaper prices. But while Circuit City, Ultimate Electronics, and more began closing down, Best Buy continued to thrive. In fact, it was in 2007 that our Best Buy started development. While the past year or two have been a little shaky with a dip in sales and some CEO changes, Best Buy continues to modify its strategy. This is currently leading to more Best Buy Mobile stores as well as a greater awareness of online shopping. The market continues to change, but Best Buy still offers an unbeatable selection of top products sold by a very well educated staff. You want selection and you want to deal with someone who knows what they’re talking about, check out the Best Buy here at Southbridge Crossing in Shakopee.